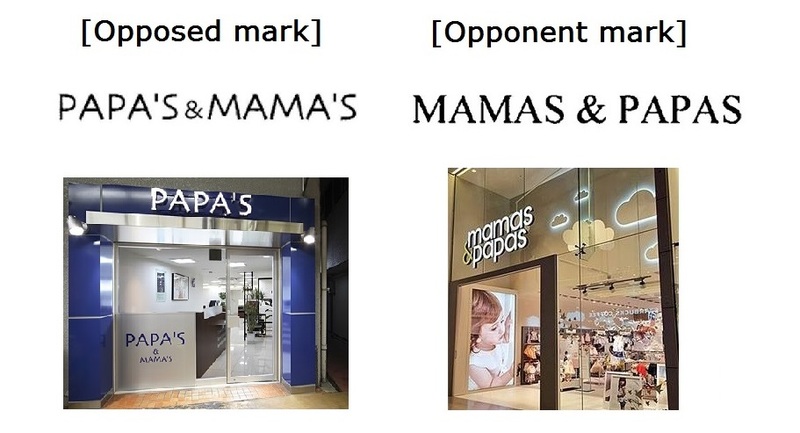 “MAMAS & PAPAS” failed in an opposition to invalidate trademark registration for the mark “PAPA’S&MAMA’S”. Opposed mark was filed by PAPA’S&MAMA’S Co. Ltd., designating goods of bags and pouches in class 18 and services of aesthetician services, beauty care and hairdressing in class 44 on March 15, 2016 and granted for protection on May 27 of the year. MAMAS & PAPAS HOLDINGS LIMITED alleged to cancel the registration due to violation of Article 4(1)(xi) and 4(1)(xv) of the Japan Trademark Law in an opposition by citing his senior registered marks of “MAMAS & PAPAS”. The Opposition Board dismissed an opposition based on Article 4(1)(xi) by stating the ground as follows. Five sounds of opposed mark among 9 sounds in total are identical with opponent mark, however, overall pronunciations are clearly distinguishable due to reverse order of “PAPA” and “MAMA” so that both marks are deemed dissimilar in verbal point of view. Admittedly, both marks may give rise to a meaning of father and mother from word of “PAPA” and “MAMA” respectively. But difference coming from possessive form and plural form inevitably causes non-negligible gap in connotation as a whole. Likewise, both marks are deemed comparatively dissimilar in visual point of view by taking into consideration of reverse order of “PAPA” and “MAMA”, possessive form and plural form. Taking account of fact that opponent mark has not acquired remarkable reputation as well, the Board decided to conclude both marks are unlikely to cause confusion in the mind of consumers and thus entirely dissimilar. 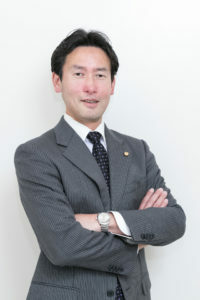 Posted on 2017年6月2日 by Masaki MIKAMI in alphabetical name, Article 4(1)(xi), Article 4(1)(xv), Opposition and tagged MAMAS&PAPAS, PAPA'S&MAMA'S.